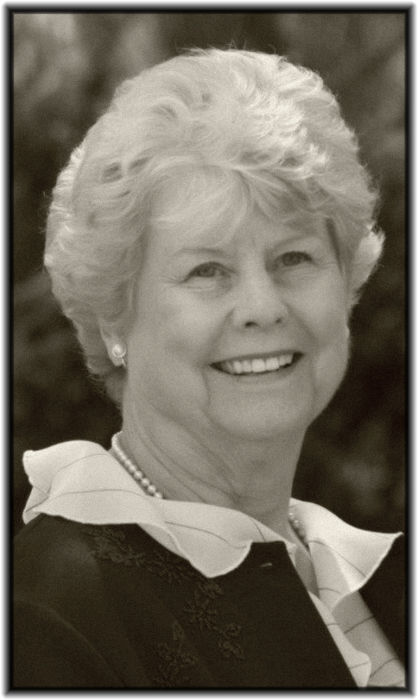 Darlene Wadsworth Brown passed away peacefully on January 26, 2019 in Temecula California. Darlene was born March 31, 1934 in San Diego California to John Kenneth and Lillie Mae Wadsworth. She married Garry S. Brown in the Los Angeles California Temple of the Church of Jesus Christ of Latter-day Saints on April 19, 1956. Darlene is survived by her brother John (Judy) Wadsworth, daughter Kara Dennis, and sons Michael (Mary) Brown, Marc (Janelle) Brown, 7 grandchildren and 4 great grandchildren whom she dearly loved. Darlene was preceded in death by her parents Ken and Lil Wadsworth and husband Garry. In lieu of a funeral, and at Darlene’s request, a casual celebration of life will be held on Monday February 4, 2019 at the Church of Jesus Christ of Latter-day Saints building located at 27020 Meridian Street, Hemet California from 4:00 p.m. to 6:00 p.m. Interment will be at the Riverside National Cemetery, Riverside, CA. where her husband Garry is buried.